Historic legislation passed in Queensland Parliament today will better protect the rights of the most vulnerable in the state. 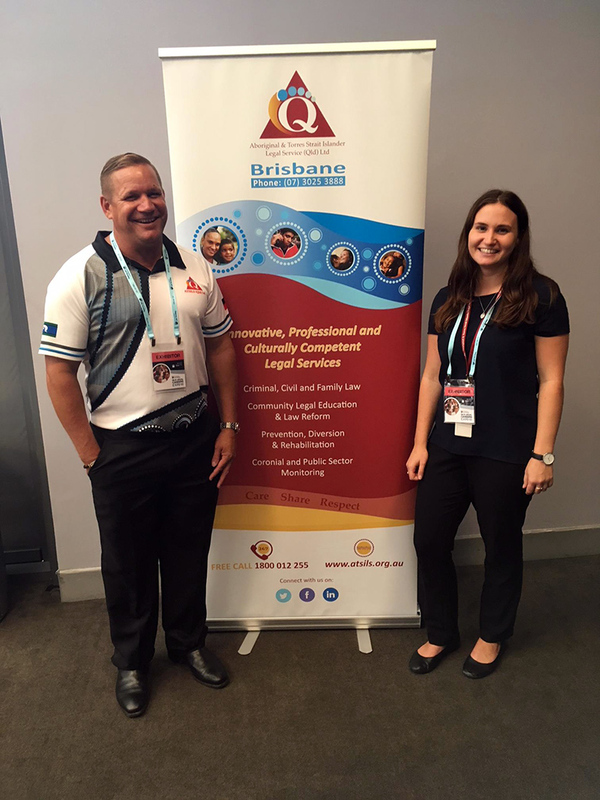 The Aboriginal and Torres Strait Islander Legal Service (QLD) LTD (ATSILS) commends the Palaszczuk Government for their unwavering commitment to advancing and protecting the rights of Queenslanders, especially the most vulnerable with the passing of Queensland Human Rights Bill today. 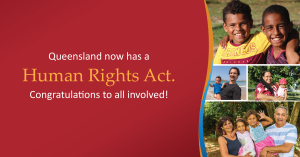 The human rights legislation in Queensland has many firsts and improves on laws in Victoria through the establishment of a complaint mechanism that will be facilitated by the creation of the Queensland Human Rights Commission. The Commission will ensure the laws are more accessible to the most vulnerable who often do not have the financial capacity to enforce their human rights by way of legal representation and advocacy. 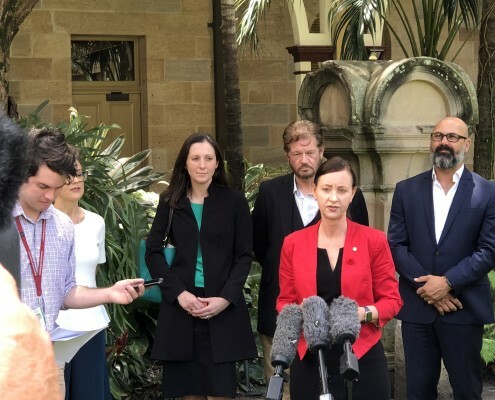 “We congratulate the Attorney General and Minster for Justice – Yvette D’Ath for seeing this complex legislation through Queensland Parliament and would like to pay tribute to the work of the Human Rights Act for Queensland campaign (HR4QLD) led by Aimee McVeigh who tirelessly lobbied the Queensland State Government and effectively engaged diverse sections of the community to support this important legislation,” Mr Duffy said. 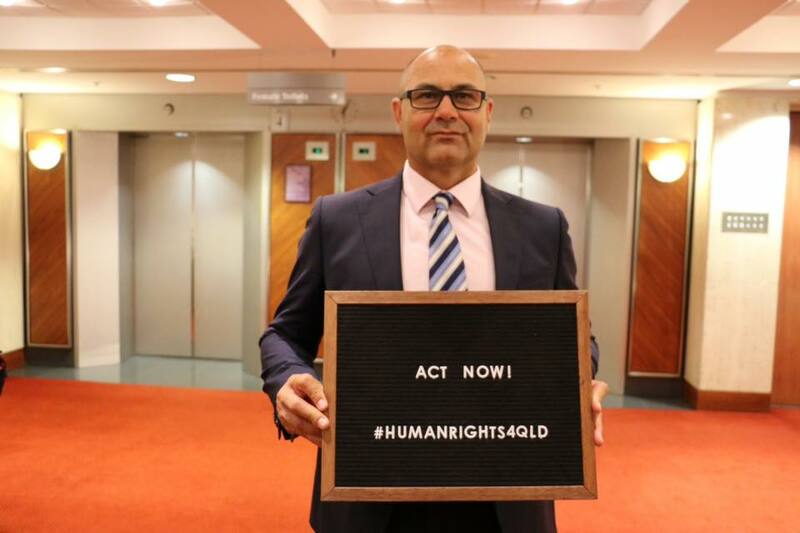 ATSILS is proud to have been a part of the strong coalition of more than 40 community organisations that supported the HR4QLD campaign who were all united in their belief that protecting human rights in law would improve the lives of vulnerable Queenslanders. 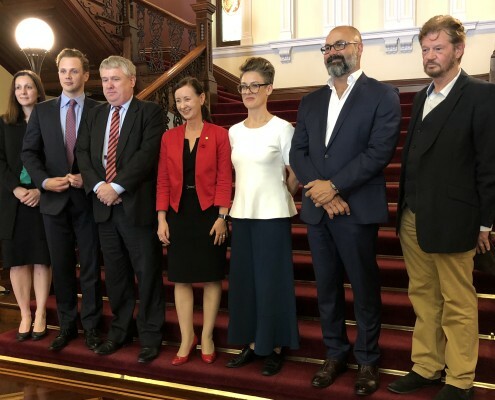 We look forward to continuing the positive dialogue with the Palaszczuk Government and with key stakeholders and we hope to see stronger human rights protections adopted more broadly at a national level in the near future. 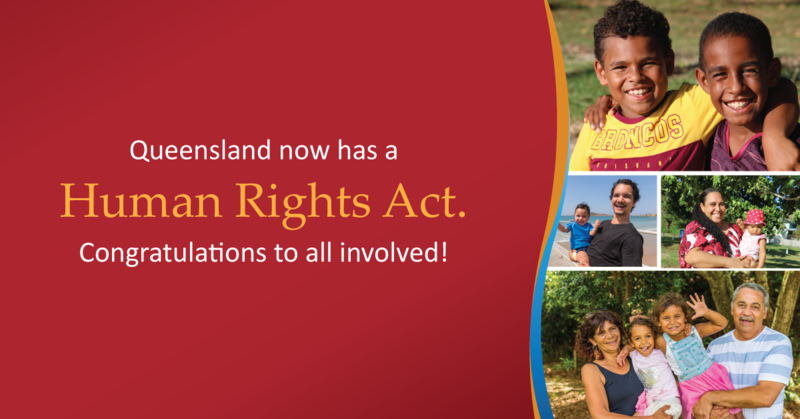 A Human Rights Act for Queensland is powerful medicine for advancing and protecting the rights of vulnerable Queenslanders. 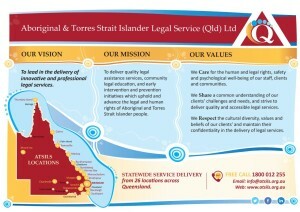 The Aboriginal and Torres Strait Islander Legal Service (QLD) LTD (ATSILS) commends the Palaszczuk Government for their steadfast commitment to advancing human rights protections for all Queenslanders with the introduction of a human rights bill in parliament today. ATSILS looks forward to seeing the positive impact this legislation will have on strengthening human rights protections for individuals – particularly society’s most vulnerable. We especially welcome the much needed protections related to the cultural rights of Aboriginal and Torres Strait Islander peoples and the economic, social and cultural rights to education and healthcare contained in the bill. “Having human rights protections enshrined in law will be a real litmus test for addressing elements in this cycle of disadvantage and discrimination that our clients, their families and other vulnerable groups in communities experience daily,” Mr Duffy said. 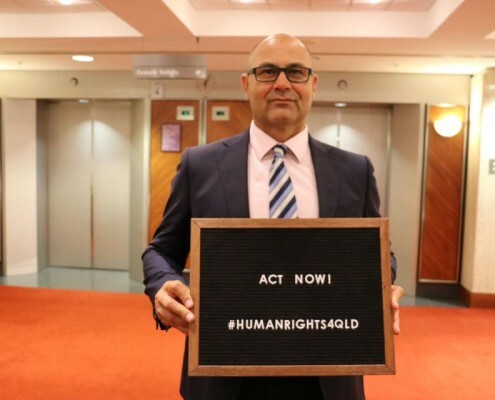 ATSILS strongly endorses the introduction of a human rights charter in Queensland. This is in many respects a defining moment that has the clear potential to make for better outcomes and a fairer Queensland. 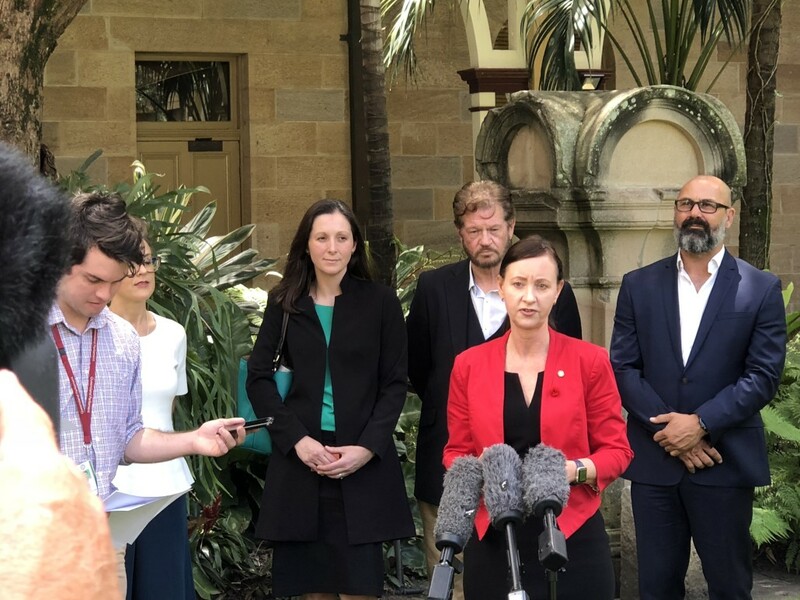 A human rights instrument will see enhanced protections and rights for all Queenslanders and is particularly significant for the most vulnerable who often do not have the financial resources to enforce their human rights by way of legal representation and advocacy. 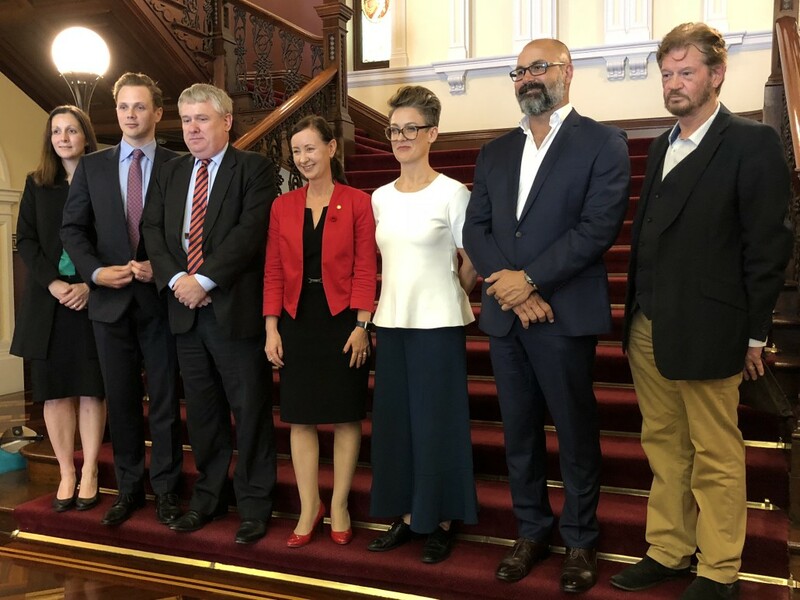 ATSILS looks forward to continuing the positive dialogue with the Palaszczuk Government and key stakeholders now and into the future as Queensland positions itself to lead the country in human rights protections. 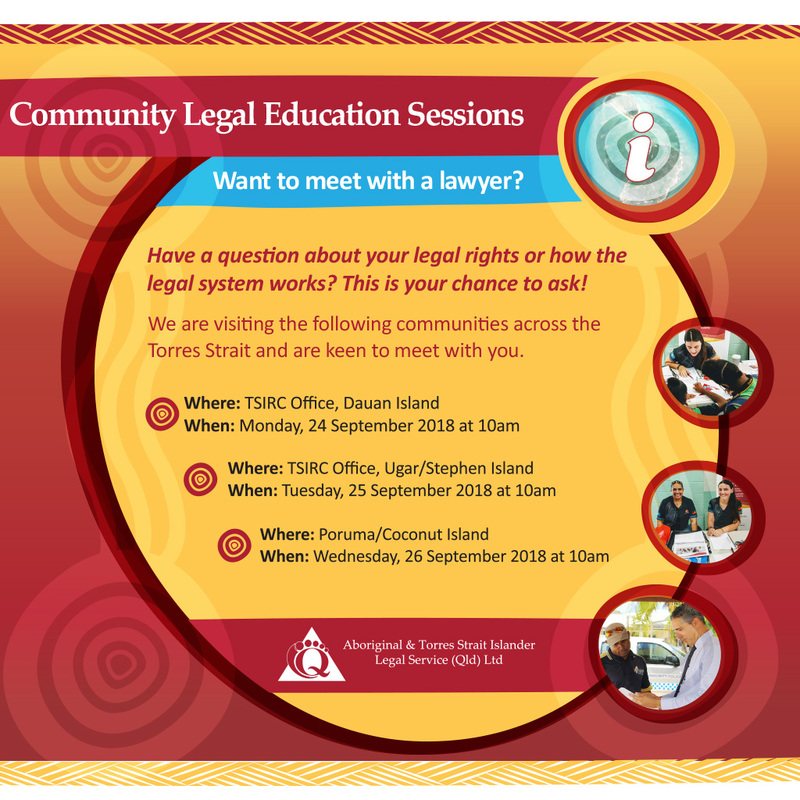 Our CLE Team will be delivering community legal education sessions in the following locations across the Torres Strait Islands next week. *Have another question? Just come and ask! We look forward to meeting you. 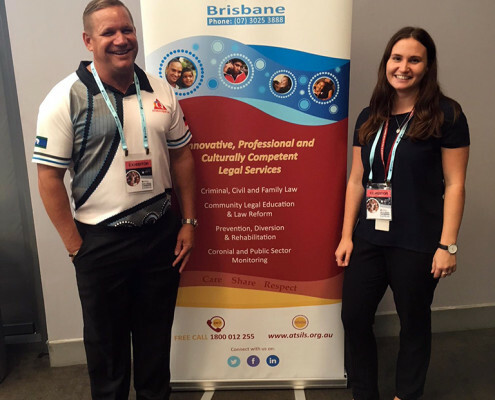 This week ATSILS staff enjoyed participating in a series of cultural competence training workshops in Brisbane, Townsville and Cairns. The training was facilitated by consultant Tom Kirk and he delivered a dynamic program covering topics such as cultural diversity, kinship systems, the impacts of colonisation, governance and communicating across cultures. The highly interactive sessions provided a great learning experience for participants. It enabled new staff to quickly establish a foundation for developing their cultural competence further, whilst more experienced staff had the opportunity to test and refine their knowledge and existing cross cultural communication skills. All in all staff got a lot out of the days and appreciated Tom’s engaging teaching style. 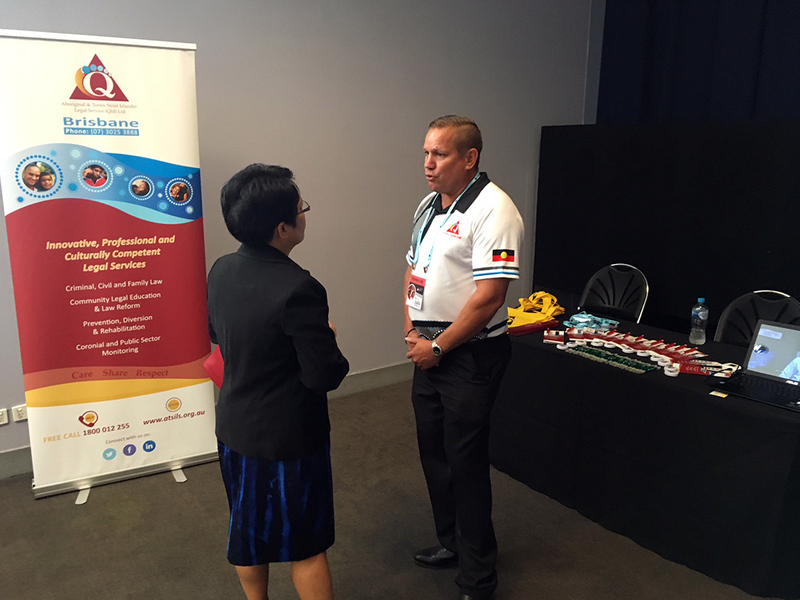 ATSILS is committed to strengthening the cultural competence of its workforce to ensure we are able to foster more effective community relationships and deliver highly accessible legal services responsive to the needs of clients and communities across the state. 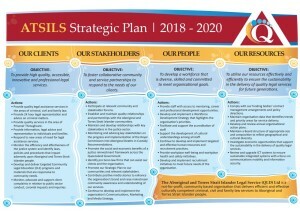 On behalf of my fellow Directors, the Chief Executive Officer and Staff, I am pleased to present ATSILS Strategic Plan 2018 – 2020. The Strategic Plan sets out a concise framework that highlights the four strategic objectives that focuses on our clients, our stakeholders, our people and our resources. 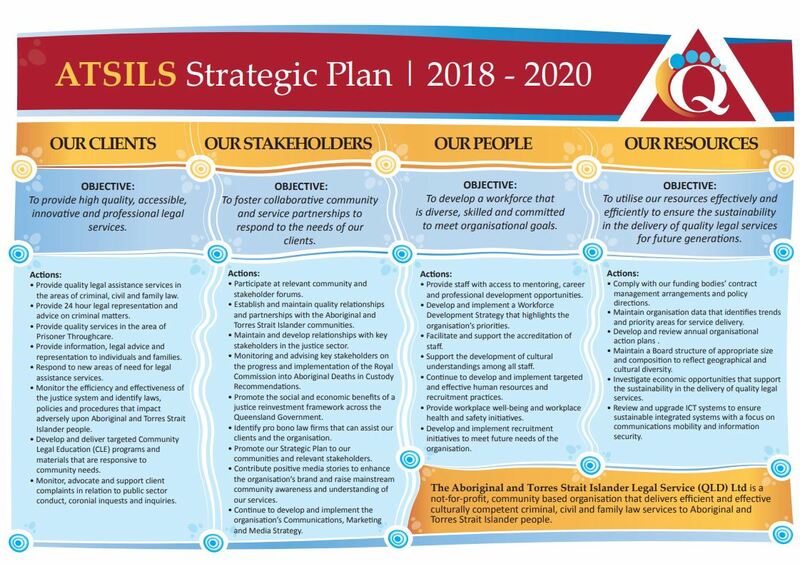 The Plan provides a roadmap to ensure ATSILS can fulfil the organisation’s vision of continuing to lead in the delivery of innovative and professional legal services to Aboriginal and Torres Strait Islander people throughout Queensland. I would like to acknowledge the important influence that our communities and our stakeholders have had on the development of this plan. Understanding the needs of our communities is essential to continuously improving our delivery of legal services. Through an active community and sector engagement approach we continue to foster collaborative community and service partnerships that enhance our knowledge of local issues and respond to the diverse needs of our clients in the context of their communities. A well-established governance and leadership platform has been crucial to setting an informed strategic direction that can effectively respond to the broad justice needs of the communities we service. Our board is reflective of the diversity of our communities across the state, this representation gives our communities a stronger voice that speaks directly through our leadership. We embrace ethical, accountable and transparent management and decision-making systems, policies, practices and procedures in all that we do and our board structure is built on a critical mix of skills and experience drawn from grass roots communities, non-government, government and the private sector. This strong leadership platform sets our mission; however, it is our dedicated staff that work tirelessly day in day out to achieve it. Continuing to develop a highly skilled workforce committed to successfully achieving our strategic objectives and meeting the needs of clients is a core element of our strategic plan. 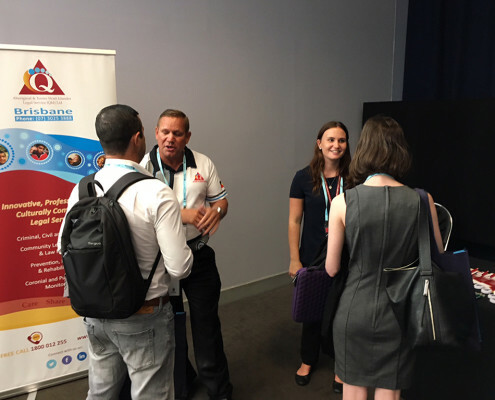 We are extremely proud of the diverse 200+ strong workforce we have delivering our quality brand of legal services, community legal education, and early intervention and prevention services that uphold and advance the legal and human rights of Aboriginal and Torres Strait Islander people. Our services are delivered in accordance with the Australian Government’s Indigenous Legal Assistance Program under which we are funded through the Australian Government Attorney General’s Department. With incarceration rates continuing to soar and our people still remaining chronically disadvantaged and over-represented across all the child protection, youth justice and the criminal justice systems, this funding is vital now more than ever. I take this opportunity on behalf of all at ATSILS to thank the Attorney General and his Department in this regard. Further, in relation to our Prisoner Throughcare Program initiatives – justice reinvestment in action – we thank the Office of the Department of Prime Minister and Cabinet for its crucial funding support as well. I also acknowledge the importance and significance of our collaborative arrangements with other key stakeholders in the justice system particularly the assistance provided to us by the Legal Aid Queensland in terms of off-setting some of the very high costs associated with delivering crucial services in our State’s most remote regions. I encourage our communities and relevant government and non-government partners to embrace this Plan and work with us on its successful implementation. Aboriginal and Torres Strait Islander Legal Service (QLD) Ltd.
ATSILS calls for Government to act on ALRC recommendations to tackle soaring incarceration rates. 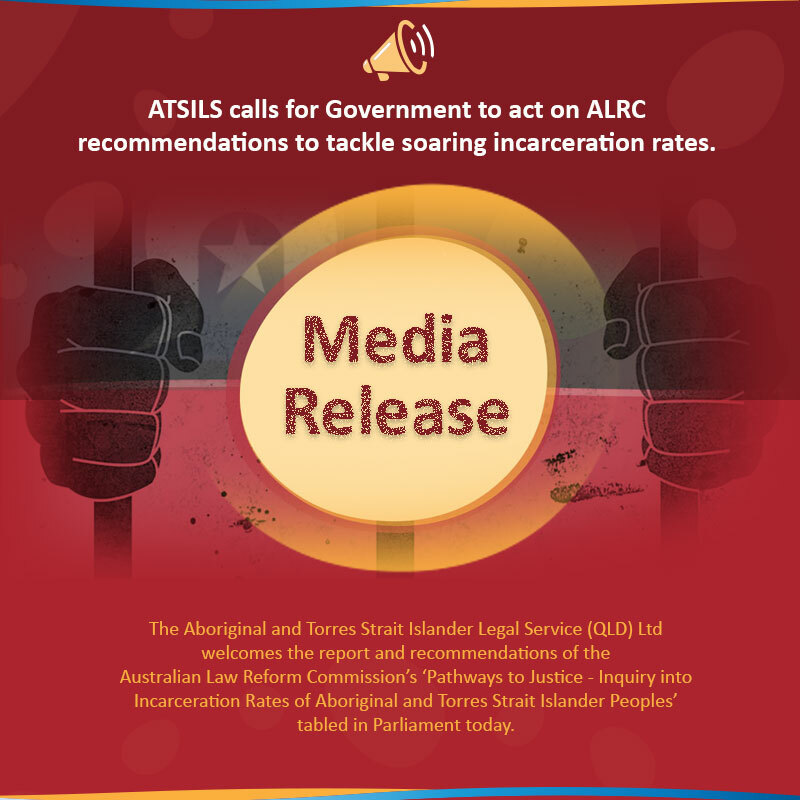 The Aboriginal and Torres Strait Islander Legal Service (QLD) Ltd welcomes the report and recommendations of the Australian Law Reform Commission’s ‘Pathways to Justice – Inquiry into Incarceration Rates of Aboriginal and Torres Strait Islander Peoples’ tabled in Parliament today. “The recommendations handed down in this report provides yet another opportunity for all levels of government to turn their rhetoric into action and work with Aboriginal and Torres Strait Islander communities and organisations to implement real change and create safer communities” said Mr Duffy. “Back in 1991 the Royal Commission into Aboriginal Deaths in Custody also found that an unfair and discriminatory justice system was failing our people and fuelling over-incarceration. It offered comprehensive solutions that could affect change through its 339 recommendations, but these were left on the shelf largely ignored and unimplemented by governments. Fast forward almost 3 decades later and here we are today grappling with an even more complex and rapidly growing problem so shameful the Federal Government has labelled it a ‘National Disgrace’. We can’t let this history of inaction continue to repeat and drop the ball on this again,” Mr Duffy said. Research commissioned by ALRC shows the magnitude of the crisis we are dealing with today with Aboriginal and Torres Strait Islander men found to be 14.7 times more likely to be imprisoned than non-Indigenous men, and Aboriginal and Torres Strait Islander women found to be 21.2 times more likely to be imprisoned than non-Indigenous women. Between 2006 and 2016 imprisonment rates have increased by 41%. The report noted that Although Aboriginal and Torres Strait Islander adults make up around 2 per cent of the national population, they constitute 27 per cent of the national prison population. Implement a National Justice target as part of Close the Gap framework. Engage and empower Aboriginal and Torres Strait Islander people to provide basic universal services and adequately resource innovative community led solutions. Abolish mandatory sentencing, which disproportionately affects Aboriginal and Torres Strait Islander people and increasing more culturally appropriate diversionary options and community-based alternatives. Reform laws so that Aboriginal and Torres Strait Islander people are not sent to prison for minor offences such as offensive language or unpaid fines. Fix bail and sentencing laws so that a person’s cultural experience can be taken into account. Adequately resource and provide funding certainty to Aboriginal and Torres Strait Islander Legal Services, Community Legal Centres and Legal Aid Commissions more broadly. Ensuring access to justice for vulnerable community groups fundamentally requires sufficient, sustainable and ongoing funding for legal assistance providers. 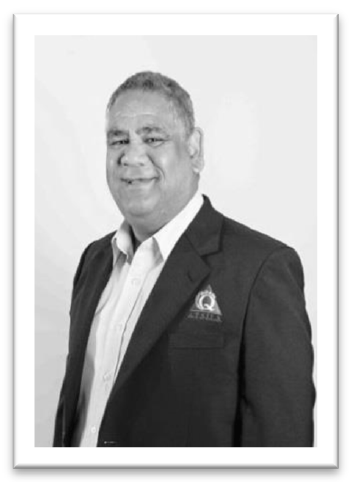 Enact mandatory Custody Notification Systems in partnership with every ATSILS. 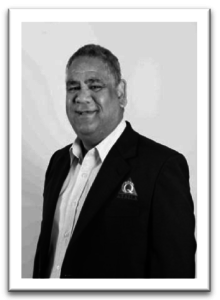 Media Contact: Josh Herd for Shane Duffy, CEO Aboriginal and Torres Strait Islander Legal Service Qld, email josh.herd@atsils.org.au or phone 0439 561 775. 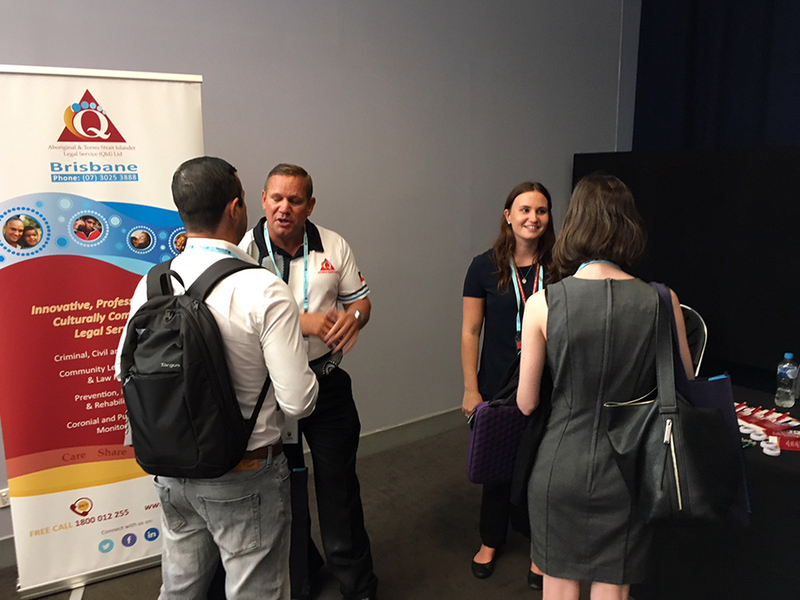 ATSILS recently took part in the 2018 QLS Careers Expo . Our exhibit attracted many interested students and it was great to give the next generation of legal practitioners an insight into our innovative brand of legal service delivery as an exciting career pathway. Recently our CEO and Communications team journeyed with our Thursday Island staff on their Outer Islands Magistrate Court Circuit throughout the Torres Strait. In one of the State’s most remote regions ATSILS is the primary legal assistance provider and we are committed to ensuring the diverse communities across the Torres Strait and Northern Peninsula Area have access to professional legal assistance and representation. It was great to see the local team in action and spend time with communities on the Islands of Warraber, Boigu, Mabuiag, Saibai and Badu and get insight into the justice issues they face so we can continue to tune our services to respond to local need. 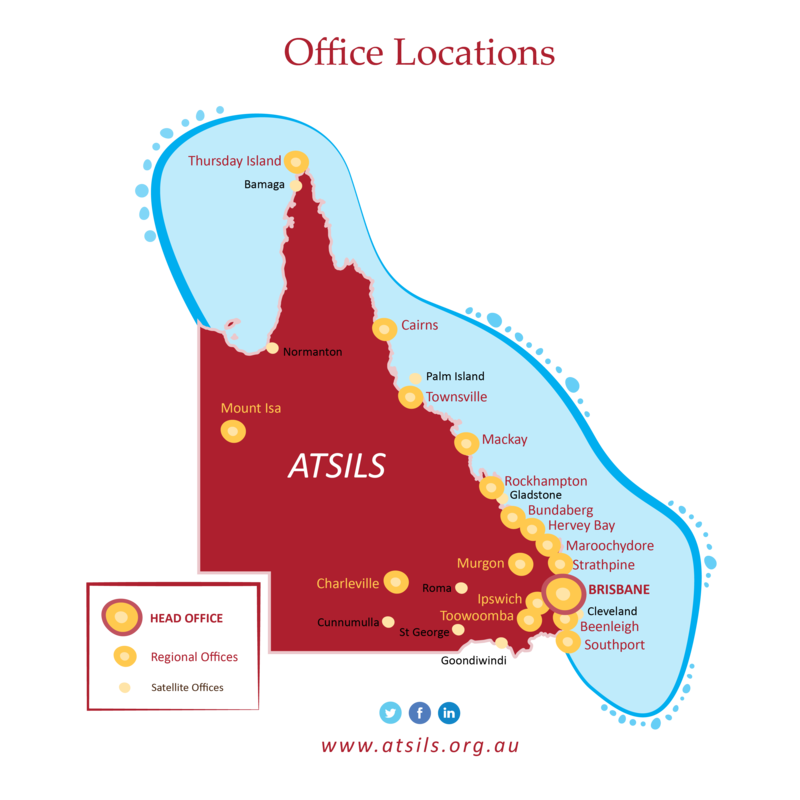 Our team operate from our regional office on Thursday Island and they are an exemplar of ATSILS innovative brand of service delivery, they are highly engaged with community and display a tireless commitment to people they represent under challenging conditions. 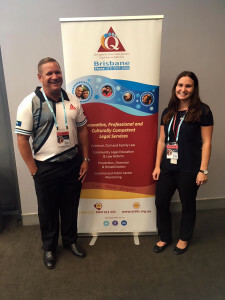 They have established a respectful and collegiate working relationship with the Magistrate, Justice Groups, Police Prosecution, Community Police and other officers of the court and work as an effective team to enhance access to justice for some of Queensland’s most remote populations. 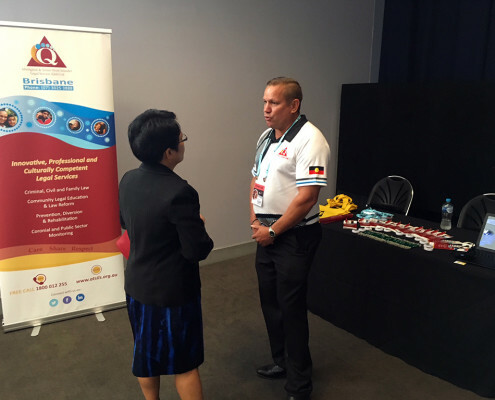 ATSILS CEO Shane Duffy was invited to Canberra recently to attend A Special Gathering of prominent Aboriginal and Torres Strait Islander leaders asked to provide advice to Government on a refreshed ‘Closing The Gap’ agenda. The gathering coincided with the first Council of Australian Governments (COAG) meeting of 2018. Shane was one of 64 State and Commonwealth delegates selected to come together to provide advice on future policy priorities, and how all governments can be held to account for driving change. A delegation from the Special Gathering then attended the COAG meeting to provide advice of the gathering directly to First Ministers. The Special Gathering agreed the next phase of the Closing the Gap agenda must be guided by the principles of empowerment and self-determination as articulated in the 2008 Close the Gap Statement of Intent. The group demanded from government a community led, strength based strategy that enables us to move beyond surviving to thriving. We call on governments to negotiate specific targets in these areas with Aboriginal and Torres Strait Islander peoples and our representative bodies.